Last week the news broke that the Emmys will make the switch from physical DVD-screeners to online streaming screeners in 2020. This transition comes with a lot of benefits. For one, it’s much cheaper for companies to put movies on an online screening platform than to manufacture and ship hundreds of thousands of DVDs. Another advantage, according to some industry insiders, is that it’s easier to keep online screeners out of the hands of pirates. In recent years there haven’t been many TV-screener leaks. 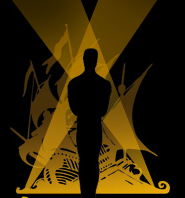 However, if DVD screeners are eventually phased out by other awards shows, such as the Oscars, could that be the end of the screener season madness among pirates? That’s highly doubtful. While it’s certainly true that online copies can’t get lost in the mail, there are other vulnerabilities. A login and password are easily shared and, once in, pirates can usually find a way to rip of capture a movie of TV-show. That’s what they’re good at, after all. This is corroborated by pirate release group EVO. Short for EVOLUTiON, EVO has been around for years. The group has standing when it comes to screeners. Just a few weeks ago it leaked “Ralph Breaks The Internet,” one of the first DVD screeners this year. According to EVO, online screeners are not necessarily more secure and the opposite may be true in some cases. The group mentions that it had access to a digital screener account last year which provided surprisingly little protection. “We had access to digital screeners and they are indeed easy to leak. The DRM on it is a joke. We had an account last year with three screeners on it and they were pretty much MP4 ready to encode,” the EVO team informs TorrentFreak. The group adds that online screeners have already leaked in the past, mentioning last year’s release of “Call Me By Your Name” as an example. The Academy Awards have experimented with online streaming, but there is no sign of a switch yet. The release group noticed, however, that DVD screener security has been increased. At least, for the disc they worked on. “From what I’ve seen, doing Ralph, the DVD protection on it was increased, since it was a nightmare to crack,” EVO’s team member tells us. The group believes that the current security measures around DVD screeners releases work fairly well. After all, there haven’t been too many DVD screener leaks this year. It further notes that the quality of screeners is intentionally kept low to decrease their value, in case they leak. Whether online or physical screeners are more secure ultimately depends on the type of protection measures that are implemented for each. A highly secure DVD with watermarks is more secure than an online stream that’s only protected with a login, and a highly secure online streaming platform is more secure than an unprotected DVD. But none of these are 100% leak-resistant. The safest conclusion is that piracy will likely remain a problem, no matter what the distribution platform is. To get more perspectives we reached out to a variety of movie industry insiders, including those who offer secure online screening platforms. Unfortunately, none of them answered, suggesting that it’s a sensitive issue. Based on previous coverage on the matter, we found that the movie industry hasn’t made its mind up on the security issue either. Anthony Anderson, director of film security for Universal Pictures, previously told Variety that digital screeners will present new threats, which could make them less secure. “Before, if you shipped a DVD to the home, you had to steal it from the doorstep. Now you can sit at home and attack the site, which presents a host of issues,” Anderson said. The Television Academy’s decision to make Emmy screeners streaming only doesn’t come as a surprise though. In recent years many insiders have called for a transition and the major studios, including Warner Bros., have online “FYC” platforms in place already. As far as we know, security concerns are not the main driver behind the switch. Variety’s coverage shows that streaming is simply seen as more practical, modern, and much cheaper by many. The downside is that not everyone likes streaming and that it’s harder to make titles stand out. As for EVO, they don’t believe that the Academy Awards will follow the Emmys’ example anytime soon. That said, the group prefers not to get involved with these type of releases too often, as it’s a security threat for them as well. “Usually, we choose to stay out of the DVDSCR because it’s something that draws to much heat, and the studios are not happy about it. Every year people who actually leak them are arrested. No matter how good you are to erase the watermarks. There is always a trace,” EVO notes.